Nothing is more relaxing and reinvigorating than a nice hot stone massage. Thankfully, there is no need to go to a professional massage therapist – everyone can have a relaxing spa day at home, all it takes is a few decent massage stones and a way of heating them. Picking the right set of stones to buy can be a pretty daunting task. 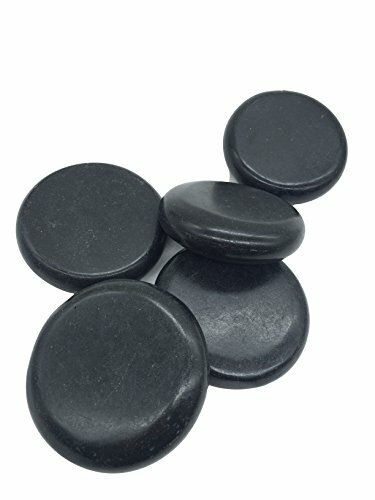 That’s why we’ve compiled this short and sweet list of the best massage stones you can use at home, and we’re sure it will help you make a buying decision. So, without further ado, let’s start. If you’re new to hot stone massage, look no further than this set from Zabrina. Why? Well, for a start it includes stones of different shapes and sizes, which means you can pretty much treat and massage every part of your body with this one set. Secondly, it’s pretty affordable and made of high quality material. That’s 16 smooth, polished Basalt stones. Basalt is a volcanic rock and basalt stones are often used to treat those of us who have poor blood circulation, sore muscles, experience a lot of stress or simply need a homemade beauty treatment. These stones heat up quickly and hold heat for a long time. Himalayan salt is commonly used to treat a wide variety of health issues. Nonetheless, massage stones made out of this material are incredibly rare and very difficult to find. 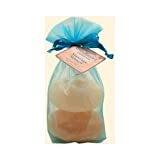 Thankfully, a company called Aloha Bay is offering a beautiful set of two Himalayan salt massage stones for a very low price. These stones heat up easily and maintain heat up to 20 minutes. They’re just heavy enough to be used on almost every part of the body. Simply heat them up and you’re good to go. If you have low tolerance to heat, perhaps it would be good to leave them cool slightly for 4-5 minutes after heating them up. Himalayan stone massage improves circulation, heals sore muscles, relaxes the mind and the body and boosts energy. Even though these are salt stones, they’re durable and easy to clean. Just make sure to rinse them off with water if you use massage oil – that will keep them from degrading. All in all, Aloha Bay’s set of Himalayan salt massage stones is a great purchase. Himalayan Salt Stones contain 84 essential minerals. 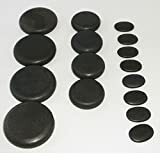 If you’re looking for a large and luxurious set of multi-purpose massage stones complete with beautiful packaging, look no further than Sivan Health Basalt Lava stone set. This is one of the best stone sets on the market because it includes a large number of smooth, high quality stones of varying sizes. You can use the largest ones on your chest or back, large ones on your stomach and lower back, medium size stones on your thighs/arms and small ones on your hands and feet. 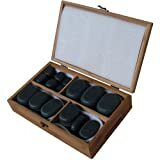 If you want to have a nice spa day at home, this set of massage stones will certainly deliver an almost professional experience. This product is a bit more expensive than some others, but the price is completely justifiable. The only downside is the wooden box – even though it looks absolutely beautiful, it’s pretty fragile and many people complain about it breaking or cracking in places. With that being said, if you treat it with care you should have no problems using it. All in all, this is a great set of massage stones, absolutely perfect for those who could use a truly relaxing massage once a week. The last item on our list is another unique Zabrina product. This set includes 5 large (3.1 x 3.1 inches) massage stones of the highest quality. These stones are perfect for overworked, overstressed individuals who carry a lot of tension in the neck and the back. They can be used on the stomach too and their smooth surface is what makes them feel great on the skin. 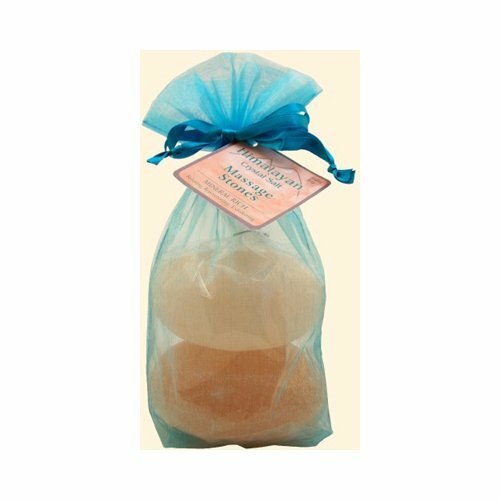 These stones provide a wonderfully relaxing sensation and can be considered an essential part of every home spa. One of the best things about this product is the price – considering the quality it’s practically a bargain. The stones heat up quickly and retain heat pretty well. They get really hot, so be careful before using them and if you have low tolerance for heat, letting them sit for a couple of minutes would probably be a good idea. The only possible downside is the fact that you get only 5 stones, but considering their size that isn’t something to worry about, since these stones aren’t really meant to be used for every part of your body.